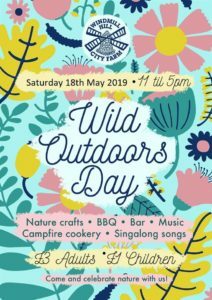 I can’t wait to be back at my favourite place in Bristol and the place where I did my very first market for their Wild Outdoors Day on Saturday 18th May. It’s a big celebration of nature with crafts, campfire cooking, music and loads more. Come along and celebrate!